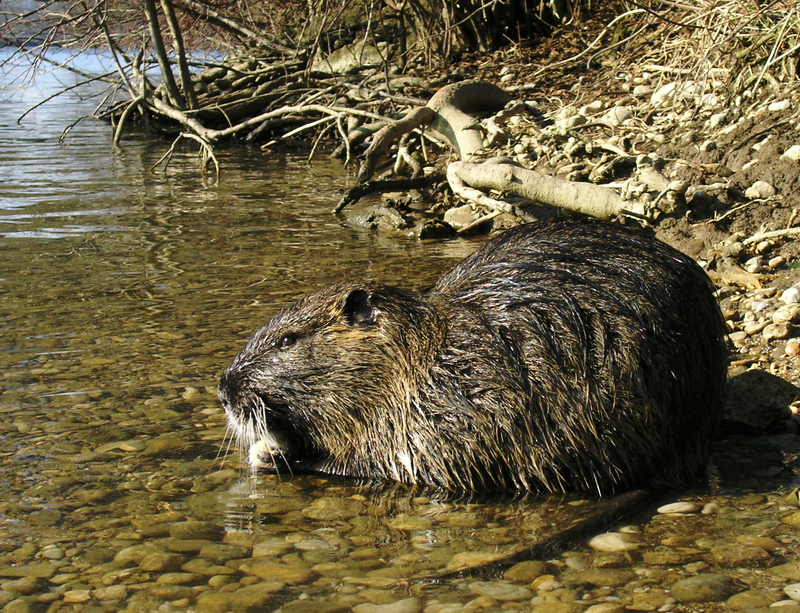 Mississippi Flooding – How Will it Impact Nutria, Nuisance Swamp Rats? Daily, we hear about the status of the historic Mississippi flooding, expected to be surpassed only by the flooding in the 1920’s. A decision has been made to open the Morganza spillway, allowing flood waters to be diverted in order to save Baton Rouge and New Orleans. Opening the spillway is a case of picking the lesser of two evils, each with their own consequences. Opening the spillway will save some more populated downstream areas, at the expense of other less populated areas, destroying farmlands, oyster beds, and with possible disruption to the oil industry. It is heartbreaking to watch people’s homes, businesses, towns being lost to the rising waters. I can’t even begin to imagine what it is like to be downstream, waiting to see what parts of your life this monster flood will swallow up and claim as its own. There will continue to be plenty of reports on all aspects of this flood. Thinking of New Orleans, however, I was reminded of a Honey Island swamp tour I took many years ago. That is when I first heard of the nutria. It was originally brought from South America. For a time, there was a market for its fur. Then it became overpopulated and an environmental nuisance. At one point, there was an effort to create a market for nutria meat. It was largely unsuccessful. (I think of nutria as big water rats; I could not imagine eating a plate of swamp rat.) I remember after Katrina, there was a report that mentioned damage done to the levees by these pesky rodents. If the areas around New Orleans are flooded, aside from obvious damage and devastation we have become all too familiar with, I wonder, will it create an even bigger nutria problem in Louisiana and along the Mississippi?